This is a special tour to climb Merapi Volcano in a different way. Normal way is through the north side, Selo Village. 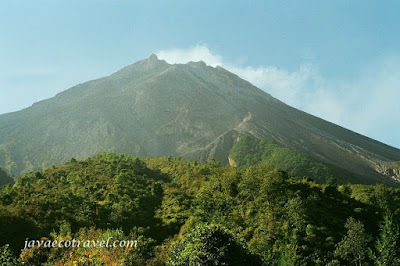 This tour is through the west side of Merapi Volcano. We will start the climbing from Babadan Village. Please check the itinerary below. Start early morning at 7.00 am from Jogjakarta, we will drive you to the west part of Merapi Volcano. The trekking will start at 9.00am. This route is rarely used by the climbers. Some parts are difficult and dangerous, but the views are superb. After 4-5 hours trekking, we will arrive at the Pasar Bubrah plateau 2700m ASL, here we will set up the tents, take a rest and enjoying the sunset. Get up early morning at 3.45am, prepare for the summit-attack. From the Plateau to the summit will take around one hours climb. Some parts are sandy, some are loosely gravels. When you get on the top, you will witness a beautiful sunrise over the rim crater of the most active volcano in Java. After enjoying the superb sunrise from the top of Merapi, we will back to our camp for breakfast. We will descent from the plateau via the north side route. At 11.00am we will be at the parking area, where our car is ready to drive us back to Jogjakarta. Good Air Conditioned car, porters, tents and camping-gears, Entrance ticket to the national park, Mineral water, Breakfast, and Lunch. 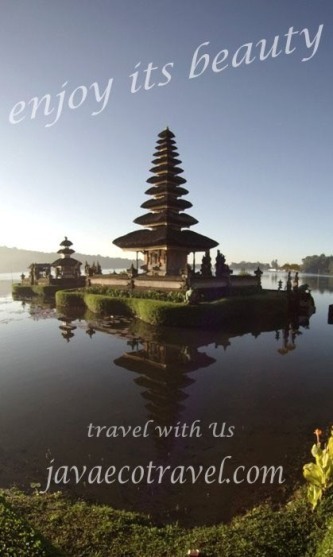 Please contact us javaecotravel.com to reserve this tour. Sorry friends, some days I do not come to visit, as I return to my hometown.